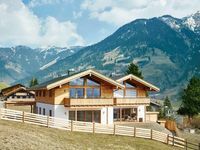 Properties in Schwarzach-St. Veit Station average 4.5 out of 5 stars. Well-maintained apartment on the edge of the cosy village of Dienten. Property 114: Well-maintained apartment on the edge of the cosy village of Dienten. Property 123: Delightful and comfortable apartment on the outskirts of the cozy Wagrain. Fully equipped luxury studio in village of Kleinarl for 2-4 people. Property 144: Fully equipped luxury studio in village of Kleinarl for 2-4 people. Lovely apartment with cozy living room and modern equipment. Overall we had wanderful experience, everything was perfect except the road on the day we arrived.